The first appointment is likely to take about an hour. Initially you will be asked about your symptoms, when and how they began, and what makes them better or worse. You will be asked about your general health and past medical health. Next you will be examined. This is likely to start with a neurological assessment and orthopaedic examination. 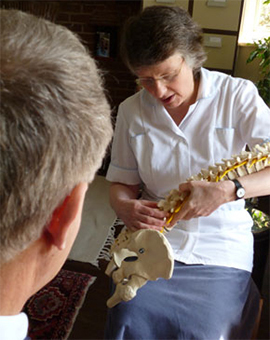 The distinctive feature of osteopathic examination is both an active examination of joint function and also a passive examination in which the osteopath takes the joints through a range of movement to test their flexibility. The tension in the muscles of the affected area will also be assessed. 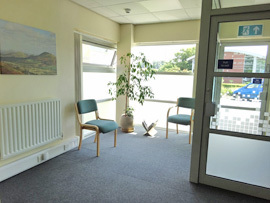 When the orthopaedic examination is finished, the osteopath will explain what they have found. If they have enough information to make a diagnosis it will be explained to you. It may be that further tests or X-rays are necessary, and if this is the case you will probably be recommended to ask your doctor if these could be arranged. For most patients understanding the cause of their problem is a really important step in getting better. One of the distinctive features of osteopathy is that we do not just treat the area that hurts, but try when we can to work out mechanical factors that may be causing or perpetuating the problem. 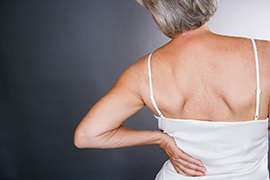 Thus we may treat areas of your back remote from the area in pain or, for example, consider your desk arrangements at work, or your car seating.